There are words and ideas that pass right through our brains like truthful reporting zips past the network news. In the shooting world, one of those words is “training.” Lots of respectable people talk about the importance of training. In response, we nod our heads and think “Yes! I need to get some professional training! I’ll get right on that!” But the moment passes, we go back to our daily life, and the next thing you know, we’re back to the normal routine - visiting the range once a month and perforating paper targets with great enthusiasm and vigor. Once you've made the decision to carry a firearm for self-protection (you can read more about it here), nothing can improve your ability to protect yourself and your family like professional training. Not equipment. Not ammunition. Not lights and lasers. Not watching Steven Seagal movies. Nothing. Pro Shooter and Trainer Todd Jarrett has the class moving fast and trying to hit small steel plates. It's an enlightening experience! Somewhere in the neighborhood of eight million Americans have concealed carry permits. Most of those folks had to complete some form of “firearms training.” Unfortunately state-required concealed carry permit training mostly addresses legal issues and carry regulations. Very, very few of those programs cover self-defense strategy and tactics training. If your concealed carry class does not have you out on the range drawing, moving, shooting, working on malfunction drills, and more, consider your concealed carry class as a starting point only. Please, please, please do not assume that your concealed carry class prepared you to carry a gun for self or home defense. If it ain’t rainin’ you ain’t trainin’. If you ever need to use your gun in a genuine life and death scenario, I can guarantee the participation criteria will be different than your decision process as to whether to go practice on any given day. Raining? Cold? Tired? “Nah, I’ll hit the range another day,” you think. None of that will matter in real life. If you have to defend yourself or family, you get no choice whether or not to participate based on your feelings or the weather. One of the best training classes I ever did took place in the pouring rain. The instructor didn’t wait it out. In fact, he was thrilled that we would have the opportunity to learn our deficiencies and improve our skills in less than ideal conditions. Wet and slippery hands, mud in our magazines, and soggy cover garments - it all was genuine. And enlightening. And did I mention, wet? You too can learn how to create a triple malfunction. A training class will induce just a little bit of stress, and this is a good thing. It won’t recreate the stress of a real-world encounter, but it will get your blood flowing and nerves off kilter. A little training stress can easily cause you to revert to your lowest level of performance. Trust me, I know. In one of my classes, I managed to create a triple malfunction. The instructor was hollering at me, but it was all in good fun. I was slightly cocky about my accurate shooting and the instructor wanted to create some stress and urgency to throw me off-track. I managed to dump a full magazine on the ground, eject two live cartridges and inadvertently engage the safety before getting off a successful shot. After the class stopped laughing at my expense, we had a great learning moment. Real training, with some pressure, can show you how your “quiet range” skills might suffer in a real world encounter. Outside of the practice range, you don’t control the timing of events. A professional training class might just give you some shocking insight that will change the way you approach your daily business. At a recent training class, the instructor had us perform a “reverse” Tueller Drill. The shooter set up in front of a three yard distance target. A partner stood next to the shooter, but facing the opposite direction - away from the target. The partner was tasked with picking a random moment to start running away from the target, back toward the rear of the range. Upon seeing the partner start to move, the shooter was tasked with drawing from concealment and getting a hit on the three yard target. The education moments occurred when shooters re-holstered their gun, then turned around to see how much ground the partner covered. A standard Teuller scenario says that an attacker can cover 21 feet of distance before you can draw and fire. Students in this class were shocked at how much distance the partner “attackers” covered. Some found their partner fifty to seventy five feet behind them! The moral? You better be keenly aware of your surroundings, and not just within a small radius. That stationary target at the shooting range sure is fun, but it tends to build false confidence. With some practice, you’ll be perforating the heck out of that thing. The problem is that a cardboard target is the only thing slower than Michael Moore in the 40 yard dash, so it won’t give you much practice at hitting a moving target. Few attackers are going to be willing to stand still while you build a perfect stance, draw and take aim. 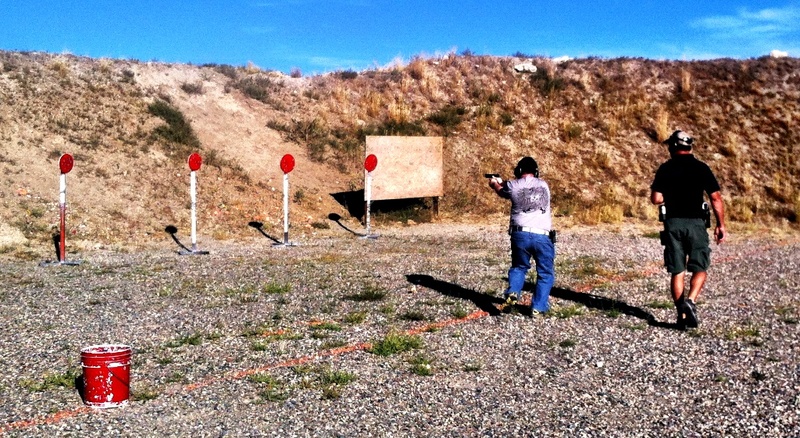 At a recent class with pro shooter Todd Jarrett, he had us moving right away. Forward, backward, sideways - doing everything but the Macarena. It’s not hard, but requires practice. Tight groups on the range don't mean jack, Jack. I’m the first one to admit that punching holes in my target really close together makes me feel like a machine gun of awesome. 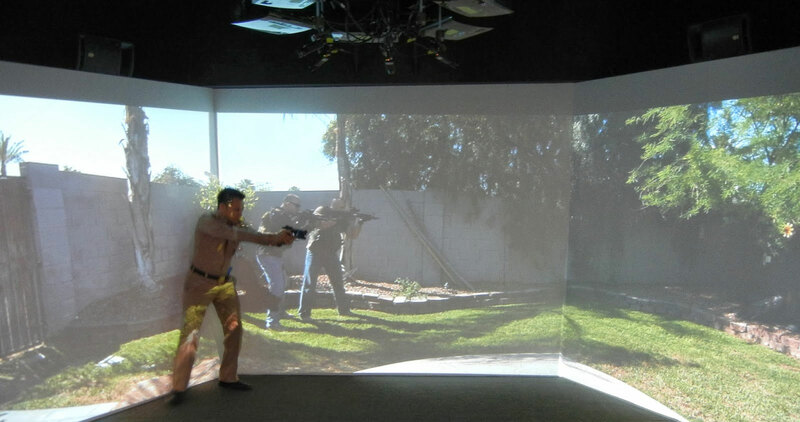 Now try that in a class where the instructor has you moving, drawing, yelling commands, and shooting all at the same time. Your groups may expand a bit. The bottom line? 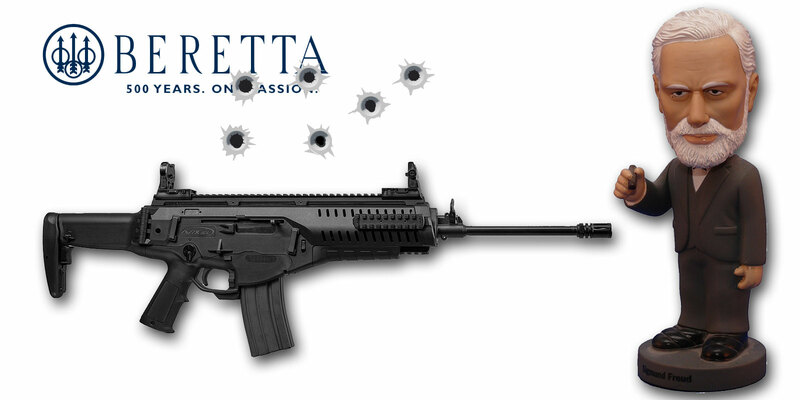 Standing and shooting at a stationary target, at your leisure, won’t prepare you for a real-world encounter. You need the bejeepers scared out of you. A really effective training class will make you sweat bullets, not because a good class is a pressure cooker of intimidation, but because it will help you understand how much you don’t know. A good instructor will help you understand how much you want to avoid ever using your gun in self defense. They’ll also help you uncover how much practice you still need. I took Massad Ayoob’s MAG-20 class not too long ago. At the end, he asked me how it was. I replied “It scared the crap out of me!” Translation: this class made me think about how much I hadn’t thought about. And that’s good preparation. Here are some ideas on how to add the element of stress to your training. My last good training class made me immediately want to call 1-800-SIGN-UP-NOW for the next one. A professional class will help you more than you can imagine. Yes, it might scare you. Yes, it will definitely expose your weaknesses. But after you stand back and contemplate the training experience, you’ll appreciate that you now know how to practice and how to prepare. A quality training class doesn’t just teach you skills, it’s a tremendous confidence booster. Once you go to your first, you won’t be able to wait for the next one.